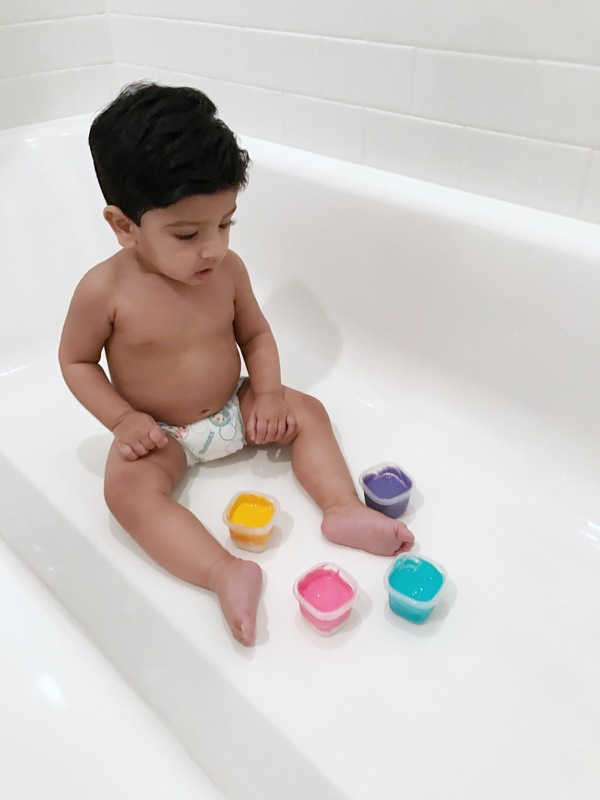 DIY Finger Paint Activity for Babies on HOLI. As a new mom I am always excited to celebrate Vir’s Firsts, whether they are milestones or festivals. “Holi”the festival of colors is being celebrated this year on March 12th. It is significant in Hindu culture as it marks the arrival of Spring.The festival breathes an atmosphere of social merriment. People bury their hatchets with a warm embrace and throw their worries to the wind. In India, every nook and corner presents a colorful sight. Young and old alike are covered with colors (red, green, yellow, blue, pink, orange, violet, and more). 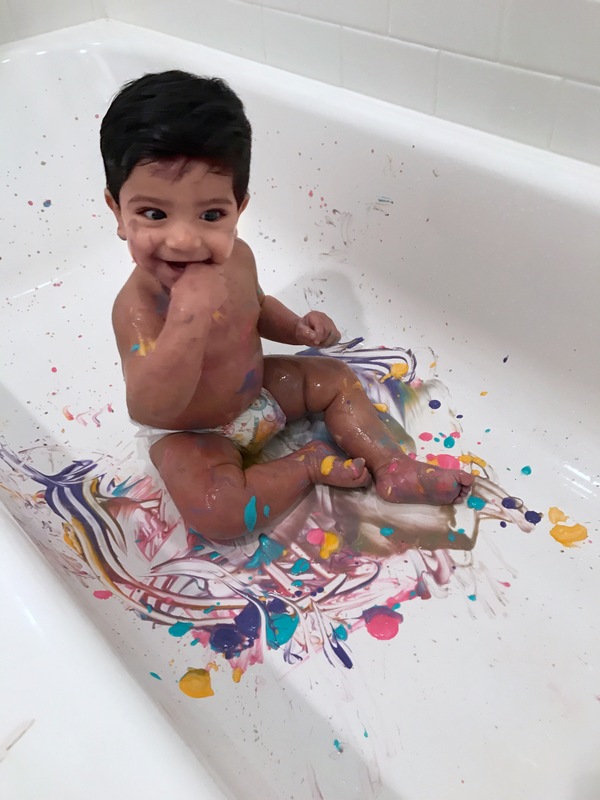 I have always loved playing Holi, and wanted to celebrate it with my son this year. 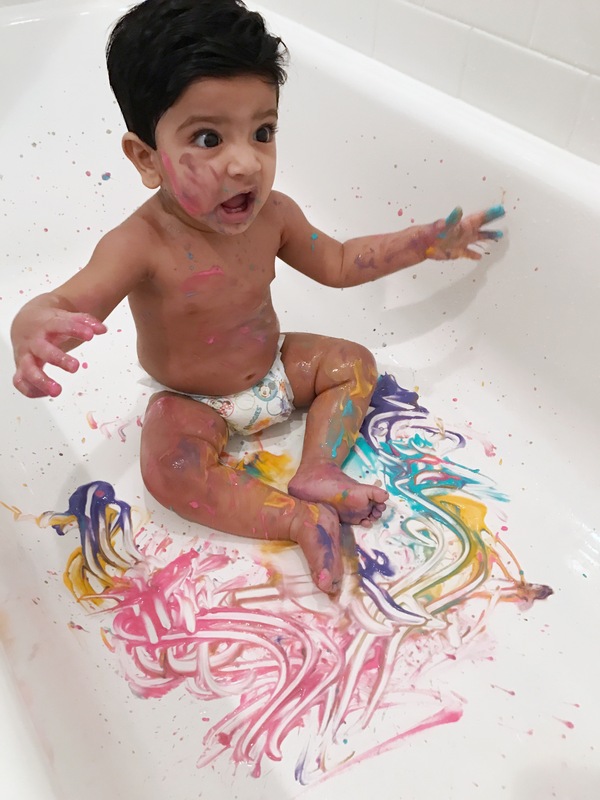 However, celebrating Holi with a 9 month old can be slightly different, we have to adjust to their age and temperament to make the experience a truly enjoyable and memorable one. These days life is a blur of early morning snuggles and taking several pictures of Vir’s antics. And of course I wanted to capture Vir’s first Holi too, but in the most simplest of ways . 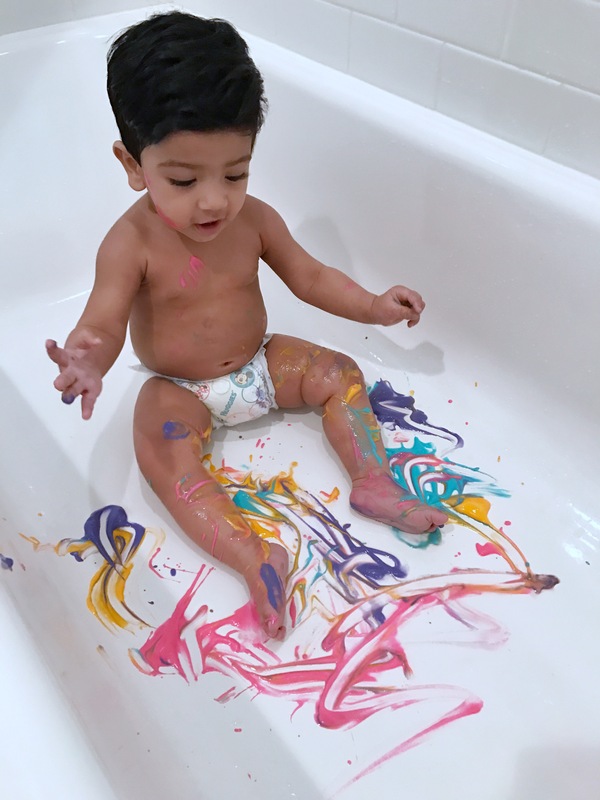 I have read that finger painting can be a very good sensory activity for the child’s development and so I took this occasion to introduce colors and finger paints to Vir. He is at an age where he likes to sneak those fingers in his mouth and for that reason I wanted to make my own paints which are edible and toxic free. I mixed the yogurt with a drop of the food coloring together to create these finger paints! We use the bath tub as our canvas. However you can also use a shower curtain for keeping the activity mess free while cleaning it up easily. Make sure you throw away the remaining paint once it is done. I won’t recommend saving it. Let the colors of Holi spread the message of peace and happiness.Wish you all a very Happy Holi !! !